Evolving technologies and new media trends have kept eCommerce strategists on their toes. They have to do regular brainstorming to keep their website on top so that marketing can generate substantial leads, and sales can make quota. Further, many administration and operations departments are asking for an integrated solutions ease accounting and fulfillment problems. Meanwhile, Drupal eCommerce has made significant headway in the past couple of years to ease these burdens. In recent discussions with several eCommerce strategists, we tried to identify today’s top challenges in the industry. 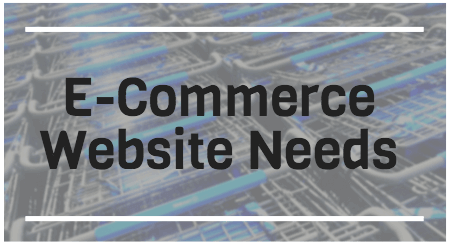 eCommerce website decision makers need foolproof solutions that address common pain points while giving them a leg up on the competition. Your admin and support staff have spent a significant amount of time getting their hands on legacy systems. Management relied on the same system for an extended period too. There will always be several roadblocks when upgrading a system like this. Still, it’s the right time to do it if you’re facing issues like higher operation and maintenance costs, bad user experiences, changing business processes, a lack of integration, and poor mobile accessibility. Legacy systems like this are holding organizations back. Thanks to evolving new technologies, there are several options available to replace our legacy systems with feature rich and light-weight applications. For eCommerce companies, it’s always recommended that you keep up with legacy systems upgrades. I keep getting client queries like: “Can your solution easily integrate with SAP? Can my system integrate with Sharepoint? How can I migrate my data from the old database? Can I get my CRM application integrated with an eCommerce system?” and so on. My answer is always yes—and why not? It’s true; better integrations lead to automated processes, which can seriously increase productivity. You can’t deny the benefits of using effective software solutions with your eCommerce platform. Recently we integrated Quickbooks with Drupal Commerce for a leading US based eCommerce company. They indicated clearly that managing across two different systems was a significant pain. They had tons of manual work to do when it came to managing their finances and syncing with their eCommerce system. You can’t imagine your clients sending money through checks or demand drafts now. Your consumer is more demanding now; they want lightning fast payment solutions. A technically advanced and secure eCommerce system can be easily integrated with multiple payment solutions for a better user experience. Security is a prime concern when transactions are involved; this can’t be overlooked. Taking your eCommerce platform across multiple devices is inevitable now. A large number of audience groups are surfing eCommerce websites from mobile and tablets as well—in fact, most of them are. The trend has been supported by Google’s last algorithm change that has started giving a boost in the ranking of mobile responsive websites. Drupal has thousands of free responsive themes and templates available. Plus several base themes and templates are added every day by the community contributors. Responsive Web Design is the right way to achieve a “seamless” user experience. It’s not an option anymore. Responsive web design adapts proportion-based grids, flexible images, and CSS3 media queries, an extension of the `@media` rule in a way so that website is readily available from devices. Algorithm changes by Google has placed content marketing at the forefront of digital marketing strategies. Integrated CMS helps in controlling Search Engine Optimization (SEO), Conversion Rate Optimization (CRO), and website analytics that reflect the customer’s nurtured journey. If eCommerce sites don’t have significant product information, reviews and comparisons, and other content on a regular basis, visitors won’t make it to your site. Online stores and site catalogs need to include things that don’t come from Drupal. Fortunately, it comes with specialized and familiar. These tools make revenue generation on your site easier by integrating external systems. Drupal’s RESTful API allows site owners to extend the functionality found in Drupal Commerce with third-party systems. Along with RESTful, moreover, the Drupal Feeds module also allows site owners to import content from other external systems. According to reports, a large number of users do research on social media before making a purchasing decision. Favored social media companies have started integrating this into their purchase journey. Facebook and Twitter have already integrated buy buttons, and Instagram has integrated like2buy. These allow customers to make a purchase directly from their social media platforms. All of these support different promotional activities like creating a particular product page and promoting products to large audiences. These changes have kept social media integrations and campaigns at the forefront of marketing and promotional strategies for eCommerce companies. A good eCommerce system should be equipped with features to integrate with social media sites and promote your eCommerce business extensively over the web. Managing a large number of products, tracking payments, processing orders and shipping products are always tedious, but necessary tasks. This calls for an intuitive and easy to use admin interface to manage this day to day. The site admin should be robust enough to automate the entire process. Picking an extremely scalable framework and technology can only help in building a highly intuitive, user-friendly, and robust site admin panel. eCommerce is the new traditional business to be in. You’ve got to optimize and update your website on a regular basis to suit your users. Updating product catalog, pricing, discount structures, creating new category pages, creating new products, creating and updating deal pages—these are a few examples. A regular and cost effective maintenance system that supports an entire process and highly effective user experience are needed. These activities also help in build up brand value. Stellar eCommerce companies look at everything when pursuing higher success rates. Websites are now prompting users to provide extensive demographical data. This helps them keep track of likes, dislikes, and purchase patterns. Companies are starting to send emails showing data-driven personalized content with this data. Amazon has done this extensively with great success. Personalization is a core driver across their pages. It all started with “People Who Bought This Also Bought,” and has been followed up by “More Items to Consider, Get Yourself a Little Something, New For You, Inspired By Your Shopping Trends, More Top Picks for You,” and so on. A suitable technical architecture is a must. This puts demographical information to work with your customer in a unified way as a key to offering a personalized (and persuasive) experience. Technology should bring products and content together strategically (e.g. new arrivals and recommendations). Cyber and Web safety is a grave concern for everyone. From Heads of State to CTO’s, there’s a significant emphasis on making laws tough to deal with ever-increasing cyber attacks and breaches. We’ve witnessed serious data breaches with high profile stores like Staples, Sears, Target, and many others. None of us can afford such cracks in our systems. Improving controls over the usage of online data and data security to protect your websites from cyber attacks aren’t optional anymore. Thankfully, Drupal eCommerce sites can be secured with secure checkouts and login powered with SSL (Secured Sockets Layer) Protection. The Drupal Commerce comes with some excellent reporting and analytics tools. The Commerce Reporting module provides users with timely reports for sales. These metrics can be filtered by order status and date ranges per needs. A generated report will break sales down monthly, weekly, and daily. Reporting will display useful information about top customers, top performing products, preferred payment methods. And there are other eCommerce reporting and analytics tools that are being put to the test. Work on Drupal’s Google Analytics Push integration, which would forward the Google Analytics module, is a testament to the Drupal’s evolution and its community-driven innovation. Yoast for Drupal is another combination that can provide useful analytics for eCommerce teams. Now, we can see why the demand for robust and highly scalable Drupal eCommerce sites are at an all-time high. If you're looking for help Drupal eCommerce, check out how Axelerant brought Drupal Commerce to the rich and famous. This article was originally posted on October 28, 2015 and has been updated since for clarity.